Currency and Money exchange. The Icelandic monetary unit is the “krona” (ISK). Coins are in denominations of: 100 kr. 50 kr, 10 kr, 5 kr, 1 kr. Bank notes are in denominations of: 10.000 kr, 5.000 kr, 2.000 kr, 1.000 kr and 500 kr. All major currencies can be exchanged at the airport, banks and currency exchange bureaux. Credit cards. The major credit cards in Iceland are Visa and MasterCard, although other cards are widely accepted as well. Credit cards are accepted in most shops, restaurants and organisations. You will need to enter your PIN number when using credit cards, so please make sure you know your PIN number when traveling in Iceland. Car rentals. The driver must present a valid driver’s licence held for minimum of one year at the time of rental. While nearly all national driver’s licenses are recognized in Iceland, if your driver’s license is not in Roman script, you must obtain an international driver’s license. The minimum age for rentals in Iceland is 20 years for passenger car. For 4WD and minibuses the minimum age is 23 years. A credit card in the main driver’s name is required for booking and renting a vehicle. Taxis. They accept all major credit cards and should to be reserved in advance. At Keflavik airport, Reykjavík domestic airport, Akureyri airport, Egilsstaðir airport and in some major cities and towns you will find taxi stations where you can line up to get a car. Health care. Medical assistance and health care are readily available in Iceland. Porterage Service (Baggage and Luggage). There is limited luggage porterage service available at hotels in Iceland. It can be requested and pre-ordered at 4 star hotels in Reykjavík and Akureyri, not guaranteed. Compared to other countries, most Icelandic hotels are small, and this service is simply not available. It is advise that you should pack light. Business hours. Banks are open from 09:00 to 16:00. As general rule offices are open from 09:00 to 17:00, in some cases during the summer these hours are from 08:00 to 16:00. Most shops are open from 09:00 to 18:00 on weekdays. Kringlan and Smaralind shopping malls as well as souvenir and some bookshops in the city centre are open on weekends. Tax-free shopping/tax refund. A refund of the local Value Added Tax is available to visitors to Iceland. The refund will result in a reduction of up to 15% of the retail price, provided departure (of the goods) from Iceland is within 90 days after the purchase. The purchased amount must be no less than ISK 4.000- (VAT included) per sales receipt, and all goods (except woollens) must be packed in sealed bags or containers. Alcohol and smoking. Wine, beer and spirits are sold in government stores called “Vinbudin”. The age limit for buying alcohol is 20 years. Smoking is not permitted in public buildings or other places open to the public. The age limit for buying tobacco is 18 years. Travel Insurance. Please note that individual travel insurance is not included in the tour prices. It is therefore important that travellers arrange for their own travel insurance before visiting Iceland. We consider adequate travel insurance to be essential. 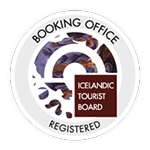 Iceland Travel cannot accept responsibility for any cost for you or any of your travel party that may incur as a result of failing to take out insurance cover. It is your responsibility to ensure that the insurance covers all your activities during your holiday, for example, water sports, riding tours, snow scooter tours and winter sports. Please read your policy carefully and take it with you on your holiday. Passport and Visa. All travellers must ensure that they have a valid passport and all required visas. The passport should be valid for the proposed duration of stay. Travellers should check whether any additional period of validity on the passport beyond this is necessary. However, as regulations can change with little or no prior notice, or for any unexpected delay to return date, we recommend that a passport is valid for at least three months after departure. Travelling with pets. Iceland is one of the few European countries without rabies, therefore traveling to Iceland with a dog or cat requires a strict application process with several forms, an import application fee, and four weeks of quarantine. Phone calls. The international code for calling Iceland is 354 followed by the telephone number. To call internationally from Iceland, first dial 00 followed by the country code and telephone number. For directory assistance, dial 1818. Language and People. The Icelandic population is around 330.000, with approximately 2/3 of the population living in the greater Reykjavík area. Icelanders are friendly and a welcoming nation, enormously proud of their country and eager to show it to visitors. The spoken language is Icelandic and has changed very little since the settlement; however, English is widely spoken and understood. Electricity. Icelandic electrical standards are European (50Hz, 240 volts) so many North American electrical devices will require converters. Plugs are generally two-pinned, so devices brought in from the UK and North America will require adapters. Tipping. In Iceland gratuity is always included in the bill therefore tipping is not required. This applies to everything: restaurants, taxis, cafés, room service and more. However if you do feel that you have received great service, Icelanders appreciate a tip and will gladly accept it. Time Zone. Iceland is on Greenwich Mean Time (GMT) throughout the year, and does not adjust to daylight saving time.